Greenbrae is a small unincorporated community in Marin County, moments off of Highway 101 and minutes from central San Rafael. 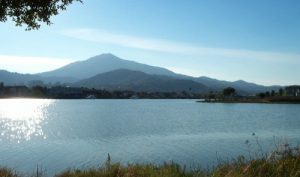 Predominantly composed of hillside and waterfront terrain, its homes and offices are known for their views of the San Francisco Bay, Corte Madera Creek, and Mount Tamalpais. Straddling Sir Francis Drake Boulevard, its most frequented points of interest include Marin General Hospital and Bon Air Shopping Center.